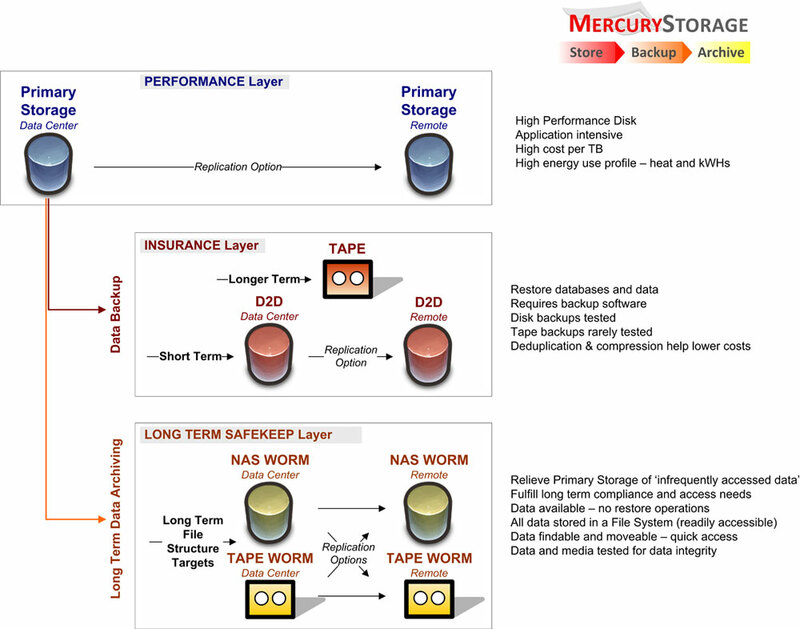 Mercury Storage offers a number of Backup and Archiving solutions. Backing-up to disk allows you to quickly restore databases and data. Archiving data allows you to reduce capacity on your Primary Storage and provide easy access to infrequently used data. Whether you need data ‘insurance’ or long term data ‘safekeeping’ we’ll provide fitting, cost-effective ideas from best-of-breed vendors. ExaGrid Systems - Listed as "Cool Vendors in Data Protection" by Dave Russell and John Morency - Gartner, Inc. Post-process deduplication. The most scalable deduplication appliance in the market, with no extra cost for replication features. GreenBytes - The up-and-comer vendor in deduplication with MAID & Replication. NFS/CIFS/iSCSI/OST/ftp. In-line deduplication. Overland Storage's REO D2D- Overland Storage offers a wide range of products that will help solve quick restore problems. iSCSI or FC. Available with or without compression options. Overland is the volume leader in D2D shipments. 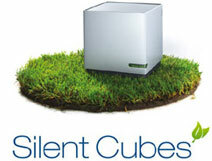 Silent Cubes - The perfect scalable NAS WORM target for archiving. FAST LTA has created an incredibly secure and affordable means to archive data for long periods of time. The cost of archiving is dramatically reduced by Silent Cube's sleep mode – when data is not being accessed the disk cycle down using only a trickle of power. Highly scalable (4TB to over 2PBs) Silent Cubes are be added without disruption, as growth requires. Replication is included. CAS option is available. The perfect secure target for all your application archiving. GRAU DATA- offers cost-efficient solutions for secure, long-term and audit-compliant archiving of all data in accordance with legal requirements regardless of the hardware or archive applications used. The products are scalable from one terabyte up to several petabytes. Wish to use existing disk? Tape? Move data seeminlessly between archive targets? GRAU will answer. The ARCHIVEMANAGER is a scalable tiered storage HSM and archiving software for Windows and Linux operating systems. It integrates all hardware platforms (server, disk, LTO tape) from any vendor. The software offers automatic migration from hardware platform A to B to ensure longterm independency from any manufacturer. FILELOCK allows the customer to use their existing SAN or local disk infrastructure to ensure data compliance. This WORM archiving system at low cost helps to archive the data simply, quickly and guarantees that the data cannot be changed and is audit-proof. The latest product, FileServerArchiver, allows the automatic migration of inactive or rarely used data from your fileservers to NAS or archive systems. The data remains completely transparent to the user. The advantages are a significant reduced backup window, less investment in infrastructure and a longterm archiving strategy for inactive fileserver data.